Home / Android / Tricks / How to Forward Telegram Messages without Forward Tag ? Telegram is growing day by day.it is a most useful Messenger Application. You can share here anything with anyone by Creating a channel like Youtube.there are a lot of features in this application if you create a channel here. but it is not giving money like youtube. It is just a messenger application like Whatsapp with a lot of additional features and it is growing day by day. How to Forward Telegram Messages without Forward Tag ? If you need any type of file like Movies, Songs, Cracked software, Modded Games, and any type of pirated files and also important files then just search about that file in it and it will tell you that which channel has provided that file and you can directly download it and also for future you can subscribe that channel to get more content like this. there are also different different type channels so, when you search on your own then you will get to know more about it. Why Need to Remove Forward Tag ? That I tell you about what you can do on Telegram but that's not our topic for today but I want to tell you that you can also create your own channel and grow on Telegram later when you will have lot subscribers then there are a lot of ways by them you can earn. let suppose you had created a channel but from will you get content because if you try to download and upload files then it will consume your a lot of data and also your time which is not possible and if you try to forward anyone other's content on your channel then then it will show the tag from where you forwarded it. But what if I tell you that you can forward content from any other channel to your channel. Yes, guys, it is possible and if you want to know how you can do this then keep reading this because today I am going to tell you about this. 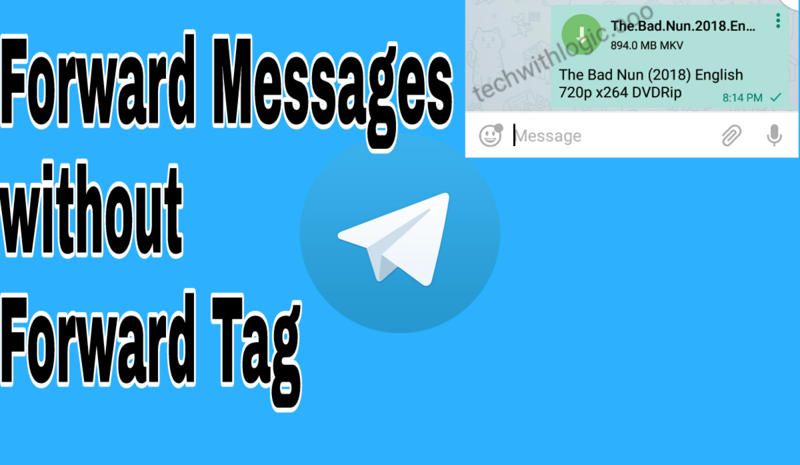 "How to Forward Telegram Messages without Forward Tag ?". so without wasting time let's start. Guys whether you have created a channel on Telegram or not you need to learn this because this trick can help you anytime. here I am going to explain you Step by Step that How to forward telegram messages without forward tag ?.so just follow all the steps carefully. guys, first of all, you have to good at Telegram because here I am not going to tell you how to create the account? how to send messages etc. 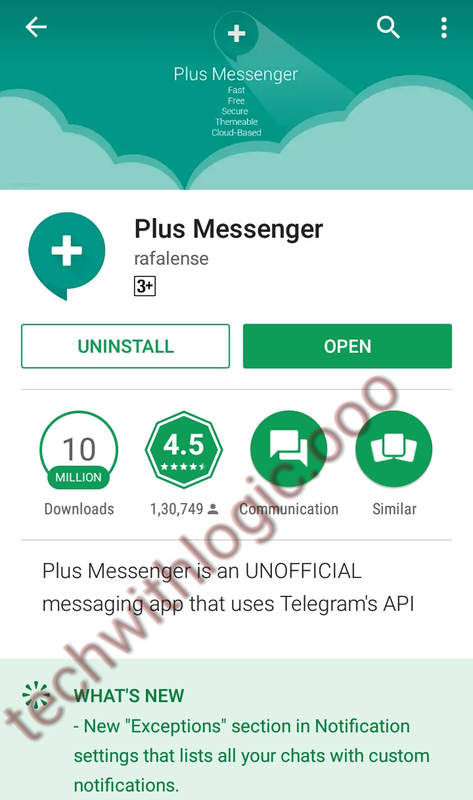 Guys, first of all, you need to go to Google Play Store and search for Plus Messenger as you can see below and install it.this is a messaging application which uses Telegram 's API.so you can call it as Telegram Plus Because here you get a lot of features .so don't worry for your security it is safe. after installing it to register it with your already registered Telegram Mobile Number. Remember that you verification code will be sent on your Telegram acc. as a message from Telegram.so, register on it Asap and your all chats will be seen on here. now move to step 2. Now choose which file you want to forward on your channel.as you can see below. and then at top of the right side, you will see a normal arrow now click on it and Send it to your channel or wherever you want to send. that's it you will see that the file have no forward tag on it and your subscribers and your friends will think you had uploaded that file and send to them. so that''s how to forward telegram messages without forward tag?.i had Explained you everything Step by Step. Still, if you have problems then you can Comment below. don't forget to share it with your friends.i will be back with another one.